One of the most difficult aspects of buying a car is dealing with Porsche financing. After all, when you get an auto loan, it can be hard to figure out if you are getting a competitive price. If you are unsure about the financing process in Kenner, LA, you should take a look at the tips below. They will help you choose the right kind of auto loan for your car and your needs. Purchasing a car should be a fun and stress-free experience, and if you know what you’re doing when it comes to securing an auto loan, it can be. Sure, you may know what your credit score is, but do you really know what it means? It can be helpful to have a basic understanding of your credit score before you visit your Kenner, LA, dealership. Go online and do some research about credit scores, and figure out where you stand. If you have an excellent credit score, you shouldn’t have a problem finding a loan just about anywhere. However, if your credit isn’t looking so good, you may have to search around more to find an auto loan rate that works for you. When most people apply for Porsche financing, they like the thought of a longer loan term. That’s because when you choose a long loan term, you won’t have to pay as much money every month. This can be very tempting, but it’s generally not the best way to go. Why? Because the longer your loan term is, the longer you are accumulating interest on your loan. That means that by the end of your loan payments, you will have paid more money than you would if you were to just spend more money upfront. Therefore, try to keep the loan term as short as possible. When you apply for Porsche financing, you should put at least 20 percent down for your down payment. This will make it easier for you to pay off the remaining portion in a timely manner. While your dealership may not require this, it’s a good idea to pay as much as you can upfront, so you don’t rack up a bunch of extra costs in interest. 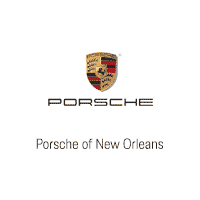 Have more questions about Porsche financing? Come to Ray Brandt Porsche today, and let us help you.